Author(s) Powers, Scott, K.; Dodd, Stephen, L.
For Health and Fitness courses. Total Fitness and Wellness gives students a solid foundation in fitness and wellness, while providing them with the tools they need to make healthy behavioral changes and lifestyle choices. The vibrant design makes the book more approachable through modern chapter-opening photos, graphs, and detailed exercise photos. The Seventh Edition provides a clear learning path, labs that can be completed and submitted online, and a thoroughly revised guide to creating a comprehensive fitness and wellness plan, ensuring students and instructors have the print and online tools they need to succeed. To take advantage of the power of Mastering, every chapter of the text includes numbered Learning Outcomes and a new study plan that ties directly into MasteringHealth activities. This title is also available with MasteringHealth–an online homework, tutorial, and assessment program designed to work with this text to engage students and improve results. Interactive, self-paced tutorials provide individualized coaching to help students stay on track. With a wide range of activities available, students can actively learn, understand, and retain even the most difficult concepts. Students, if interested in purchasing this title with MasteringHealth, ask your instructor for the correct package ISBN and Course ID. Instructors, contact your Pearson representative for more information. 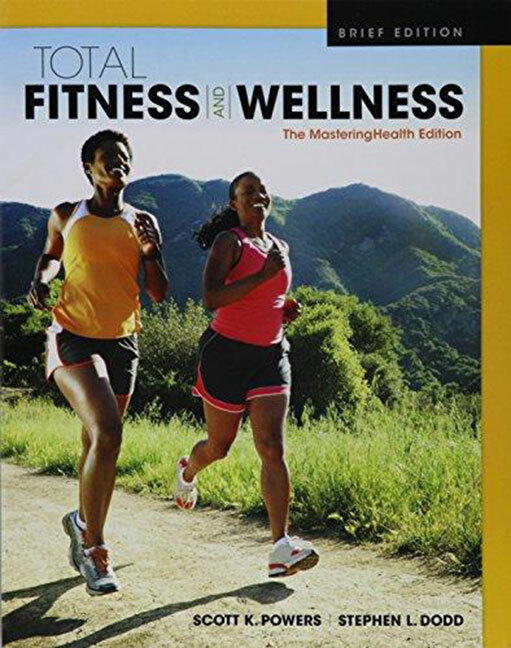 For a focused presentation on fitness, the Brief Edition consists of Chapters 1-11 from the big book so students receive the basics on fitness, nutrition, cardiovascular disease, and stress management.